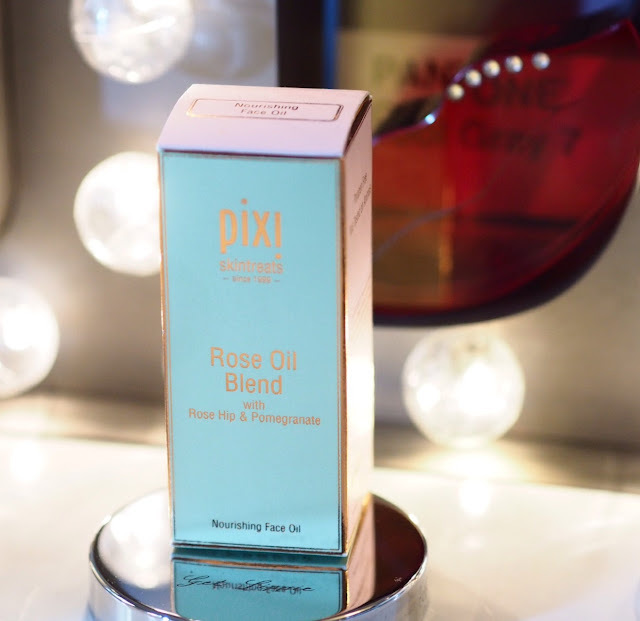 There has been a lot of Pixi Skintreats love in the Lippie household recently, and the Rose Oil Blend is currently my favourite facial oil. Based on a sweet almond oil base, with jojoba, dog-rosehip, geranium and damascene rose oils, it’s a very light texture, so sinks into the skin easily, and doesn’t make my combination-oily skin greasy. It smells only gently of roses, and isn’t perfumed artificially, it’s great. If you love oils as much as I do, you’ll like this one a lot. 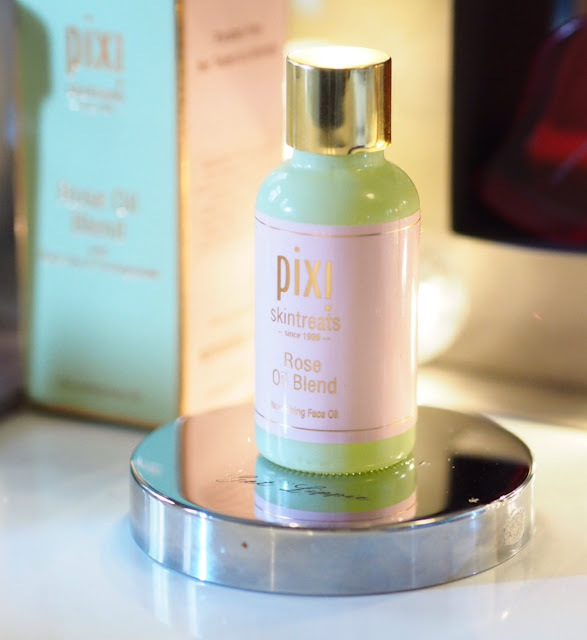 Best of all, Pixi Beauty are launching into Marks & Spencer, and their mid-price ranged skincare products are a real (cheapish) treat. 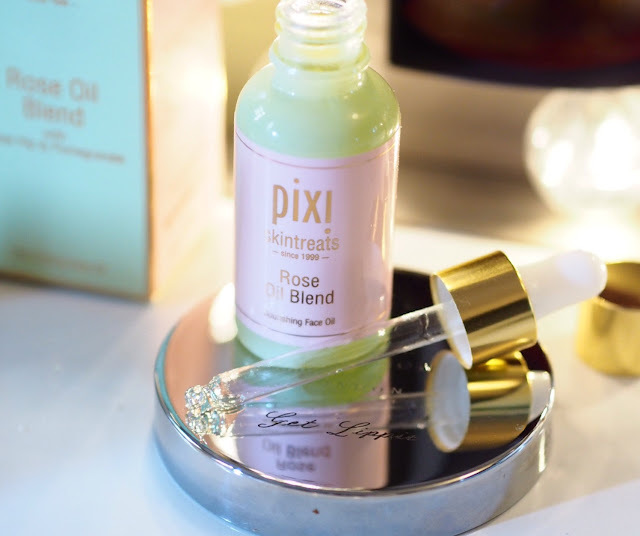 Pixi Skintreats Rose Oil Blend will cost you £26, and the rest of the range is priced similarly. Look out for more Pixi Skintreats reviews soon. I would love to read an ingredient list for this (and any skincare item really) as it's the #1 make it/break it situation when trying out new skincare!